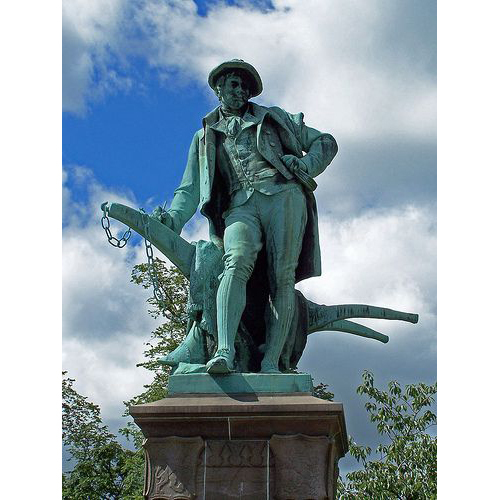 On January 25, Scots around the world will honor Robert Burns, Scotland’s national poet (1759-1796). 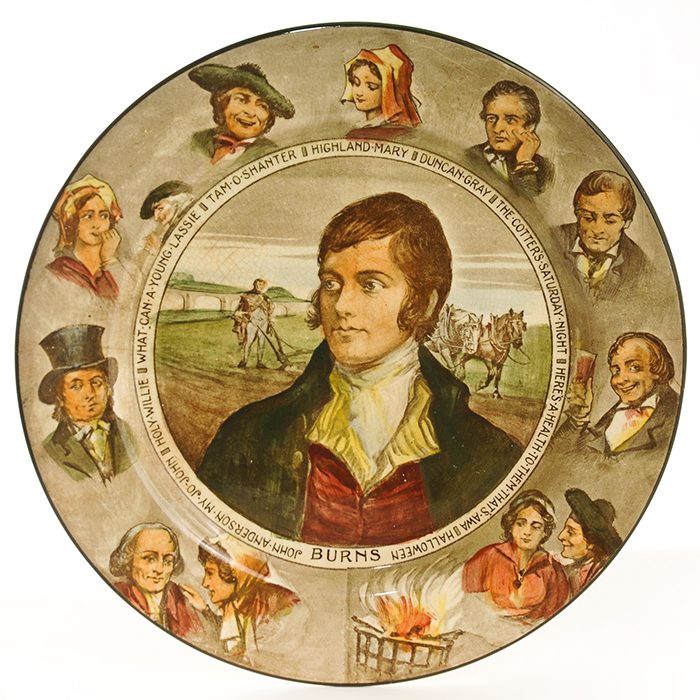 At a Burns supper, guests enjoy traditional Scottish fare washed down with whisky and recite his most famous poems, including his Address to a Haggis. The first Burns supper was held by his friends at his cottage in Ayrshire on the fifth anniversary of his death in 1801. These days at a formal Burns supper the skirl of the bagpipes introduces the evening’s entertainment which might also include a Scottish ceilidh with singing and dancing. The evening ends with Burns’ most famous song Auld Lang Syne which also resonates around the world at New Year celebrations. 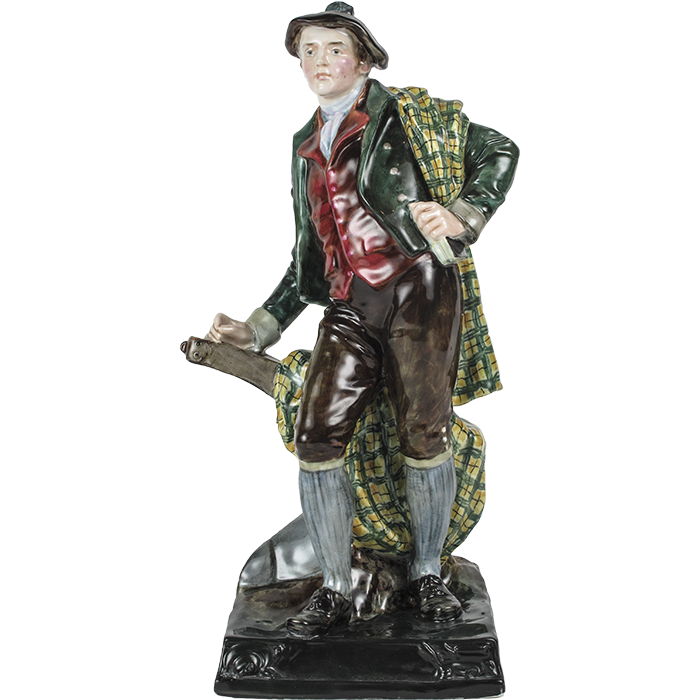 Robert Burns is affectionately known as the ‘Ploughman’s Poet’ as he was a farmer before achieving literary success. He leans on a plough in the famous statue by F. W. Pomeroy, which was unveiled in Paisley, Scotland in 1896 and subsequently in Sydney, Australia and Auckland, New Zealand. Not only is Burns remembered for his poetry internationally but he was a strong advocate of personal freedom and the brotherhood of man. 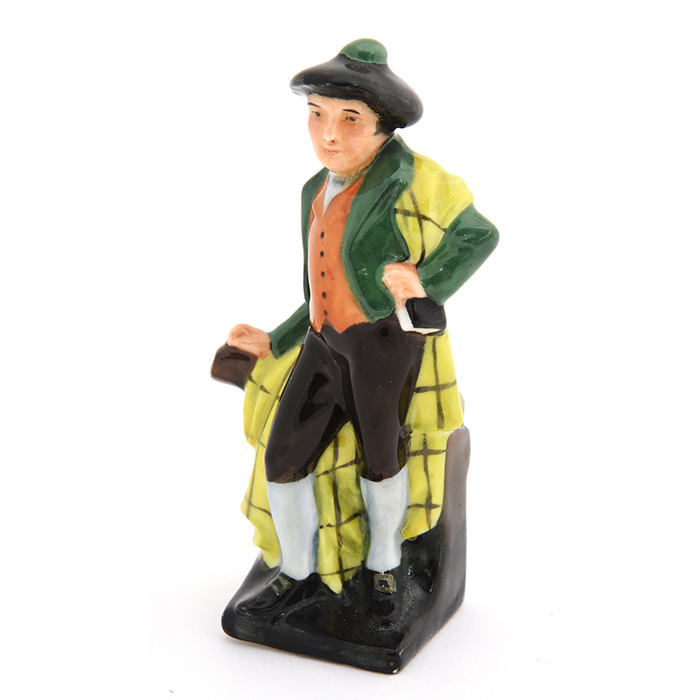 One of the rarest Royal Doulton figures was inspired by Pomeroy’s ploughman statue. It was modeled by E. W. Light, head of the Stoke School of Art, who worked on several sculpture commissions for Royal Doulton and Wedgwood. 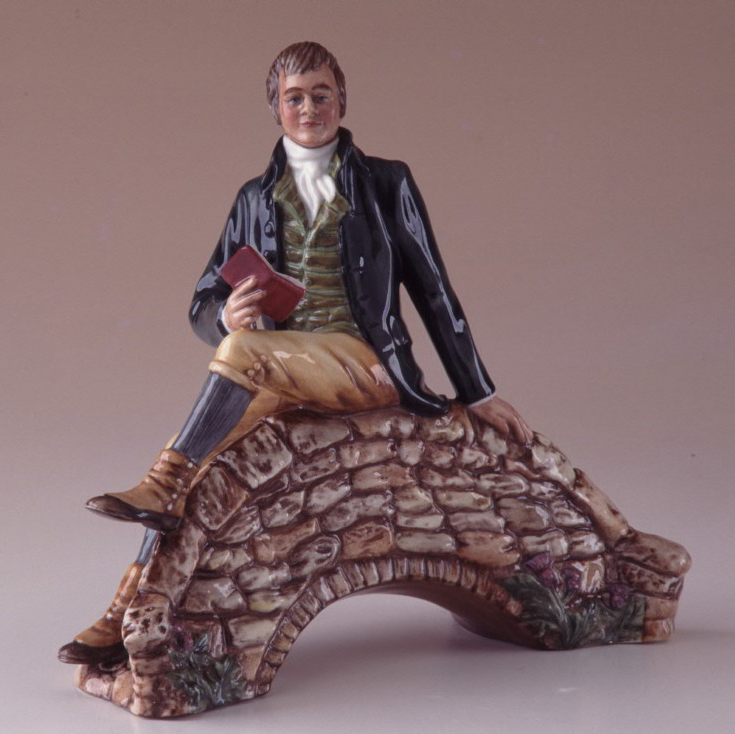 Royal Doulton also produced a miniature figure of Burns, which is now rare, and a range of Series ware plates featuring a portrait of Rabbie Burns and scenes from his most famous poems.